Dr. Isa Aron is Professor of Jewish Education, HUC/JIR, Los Angeles. She holds a B.A. in philosophy from Swarthmore College, a Ph.D. in philosophy of education from the University of Chicago, and did post-doctoral work at the Center for the Study of Social Intervention at the Albert Einstein College of Medicine. 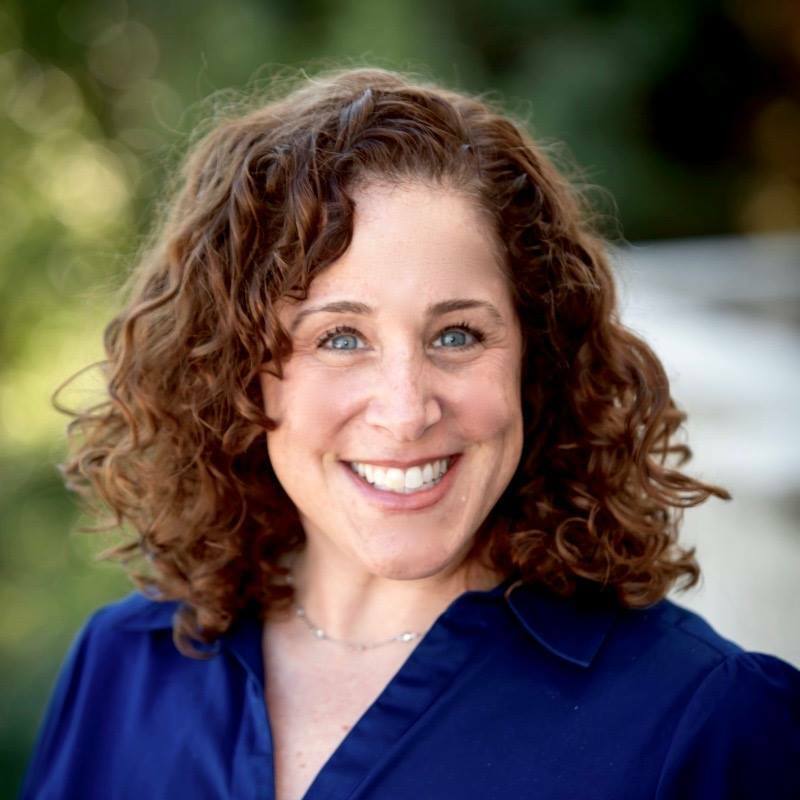 She teaches courses in teaching, philosophy of education, and organizational change, and is the founding director of the Rhea Hirsch School of Education’s Experiment in Congregational Education (ECE). Tobin Belzer, Ph.D, is an applied sociologist whose research and program evaluations have focused on young adults and teens, experiential education, leadership training, organizational culture, congregational studies, Jewish identity, character development, gender, inclusion, media and technology, arts and culture, and education. 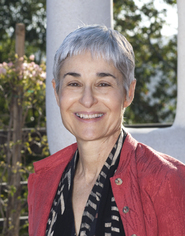 She has worked with and for numerous organizations and foundations including: Jim Joseph Foundation, the Charles and Lynn Schusterman Family Foundation, The Conrad N. Hilton Foundation, The John Templeton Foundation, California Community Foundation, Koret Foundation, the Cohen Center for Modern Jewish Studies at Brandeis University, the Lily Endowment, and the Covenant Foundation. Belzer served as the Senior Project Director at Rosov Consulting, LLC, a strategic consultancy that helps foundations, philanthropists, and non-profit organizations meet their goals, assess progress, and enhance impact. 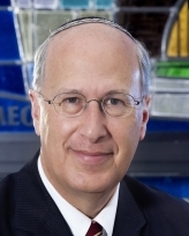 Rabbi Peter Berg is the senior rabbi of Atlanta’s oldest and largest synagogue. He started the Open Jewish Project, focused on connecting unaffiliated young adult Jews in Atlanta. Berg was the youngest original member of the Rabbinic Vision Initiative, a group dedicated to holding Reform organizations accountable to synagogues and their members, and the only pulpit rabbi in the country to serve on the search committee for the new URJ president. In the past year Berg organized city, state, and Jewish leadership to join forces in combating the trafficking of minors. Rabbi Sharon Brous is the founding rabbi of Ikar. She was ordained by the Jewish Theological Seminary in 2001 and received a Master’s Degree in Human Rights from Columbia University, where she also received her Bachelor’s Degree. After ordination, she served as a Rabbinic Fellow at Congregation B’nai Jeshurun in New York City. In 2013, Brous was recognized as the most influential Rabbi in the United States by Newsweek and the Daily Beast, and as one of the Forward’s 50 most influential American Jews. In 2013 Brous blessed the President and Vice President at the Inaugural National Prayer Service. 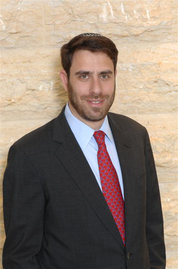 Rabbi Ken Chasen has been the Senior Rabbi of Leo Baeck Temple since 2003. Upon commencing rabbinical school in 1993, Rabbi Chasen was awarded the highly selective Wexner Graduate Fellowship. Rabbi Chasen holds a master’s degree in Hebrew Letters from the Hebrew Union College-Jewish Institute of Religion (HUC-JIR), where he received rabbinic ordination in 1998. 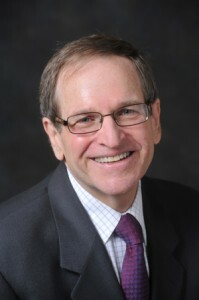 Rabbi Chasen serves on numerous boards, including the Board of Trustees of the Central Conference of American Rabbis (CCAR), the President’s Council of the Hebrew Union College-Jewish Institute of Religion (HUC-JIR), and the National Board of Directors of the Association of Reform Zionists of America (ARZA). Rabbi William Cutter, Ph.D. is Steinberg Emeritus Professor of Human Relations at Hebrew Union College-Jewish Institute of Religion, where he held the Paul and Trudy Steinberg Chair in Human Relations and was Professor of Modern Hebrew Literature and Education. He has taught at HUC-JIR since 1965 and has served in several administrative capacities throughout his academic career. In earlier stages of his career, he founded three of the ongoing programs of the College-Institute, the training center for Reform Jewish leaders and nonprofit managers. Dr. Cutter has written nearly 200 articles on literary theory, Modern Hebrew Literature, Educational Theory, and health and healing as part of Jewish experience. He has published over 50 scholarly articles and essays, and over 200 popular articles on literature, health and healing, and Jewish education. Craig Fifer, is the Director of Communications for the City of Alexandria, where he has worked since 2003. He is currently a Court-Appointed Special Advocate (CASA) for children who are victims of abuse or neglect and serves as the President of the Virginia Coalition for Open Government. Peter Geffen is the founder and Executive Director of KIVUNIM, an Israel-based Gap Year program and is also the founder of The Abraham Joshua Heschel School in NYC. 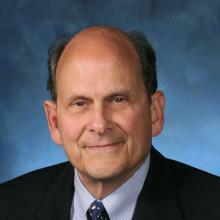 He is the former Director of the Israel Experience Program, N.A. for the CRB (Charles Bronfman) Foundation, and one of the most respected Israel education specialists in the world. 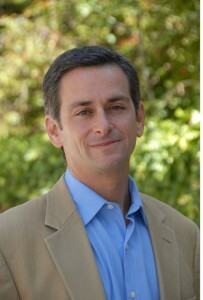 Peter also served as the Executive Director of the Center for Jewish History from 2003-05. He has designed and conducted international travel programs for teenagers and adults since 1969, including the KIVUNIM summer teachers’ programs, which have served over 1500 participants since 1999. Rabbi James Ponet , is the Howard M. Holtzmann Jewish Chaplain Emeritus at Yale, a position he filled 1981 – 2015, the first Yale alumnus to serve his alma mater in this way. Currently he teaches occasional courses in Yale College and is a Visiting Lecturer at Yale Law School. He also teaches in the Fellowships at Auschwitz for the Study of Professional Ethics, a program that brings seminary students and medical school students to Berlin, Krakow, and Auschwitz. Dr. Bruce Powell is the founding Head of School of the New Community Jewish High School (NCJHS) in West Hills, California. In addition to NCJSH, he has helped to found, develop, and lead two other Jewish high schools in the Los Angeles area over the past 30 years, the Milken Community High School, and Yeshiva University of Los Angeles High School. He has also consulted on the development of 23 Jewish high schools in cities throughout the United States. 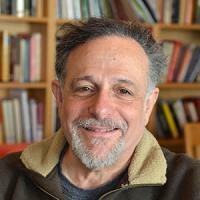 Rabbi Sid Schwarz, Ph.D. is a Senior Fellow at Hazon where he directs the Clergy Leadership Incubator(CLI), a program that trains rabbis to be visionary spiritual leaders. He also created and directs the Kenissa: Communities of Meaning Network which is building the capacity of emerging spiritual communities across the country. Rabbi Sid founded and led PANIM: The Institute for Jewish Leadership and Values for 21 years. He is also the founding rabbi of Adat Shalom Reconstructionist Congregation in Bethesda, MD where he continues to teach and lead services. 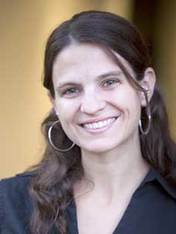 Dr. Schwarz holds a Ph.D. in Jewish history and is the author of two groundbreaking books–Finding a Spiritual Home: How a New Generation of Jews Can Transform the American Synagogue (Jewish Lights, 2000) and Judaism and Justice: The Jewish Passion to Repair the World (Jewish Lights, 2006). Sid was awarded the prestigious Covenant Award for his pioneering work in the field of Jewish education and was named by Newsweek as one of the 50 most influential rabbis in North America. Sid’s most recent book is Jewish Megatrends: Charting the Course of the American Jewish Future(Jewish Lights, 2013). 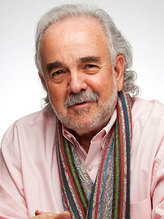 Ron Wolfson is a Fingerhut Professor of Education for the Graduate Center for Education at American Jewish University He joined the AJU faculty in 1975 as an Acting Professor. 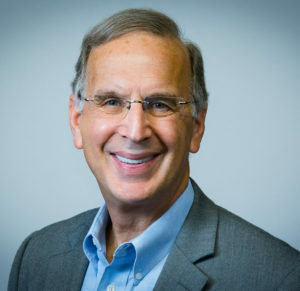 During his 35-plus year career at AJU, he has served as Director of the Education Department, founding Director of the Whizin Center for the Jewish Future, Director of the Ramah Academy, Dean of the Fingerhut School of Education, Special Assistant to the President, and Vice President of the University.